PanARMENIAN.Net - The two-week high school programming competition Zero Robotics organized by the Massachusetts Institute of Technology (MIT) and NASA is currently underway in Armenia’s Shirak province and is set to run through June 22. The prestigious competition is held annually among high school and middle school students and is coordinated in Shirak by YES Armenia and the World Vision Armenia. 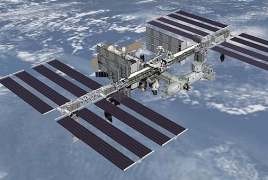 In a conversation with PanARMENIAN.Net Narek Tutkhalyan, coordinator of youth programs in Shirak province, revealed that teens aged 14-16 will write a code as part of the program, which, in the event of advancing to the next round, will be sent to NASA and the International Space Station to be tested on a space robot. “The participants will have the opportunity to follow the process live, communicate with talented astronomers and see how the ISS works,” Tutkhalyan said. Those involved on the contest will visit the Byurakan observatory in Aragatsotn province, as well as the Tumo Center for Creative Technologies and the SMART center in Tavush province.